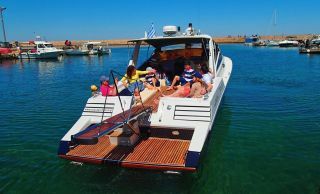 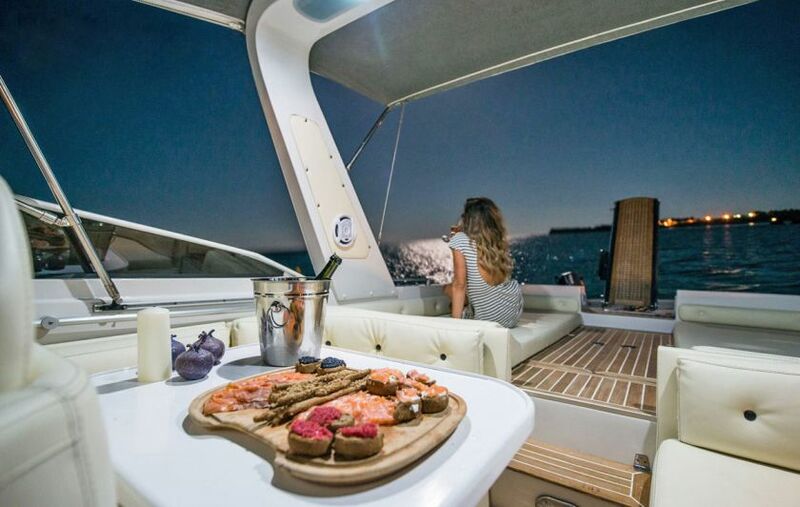 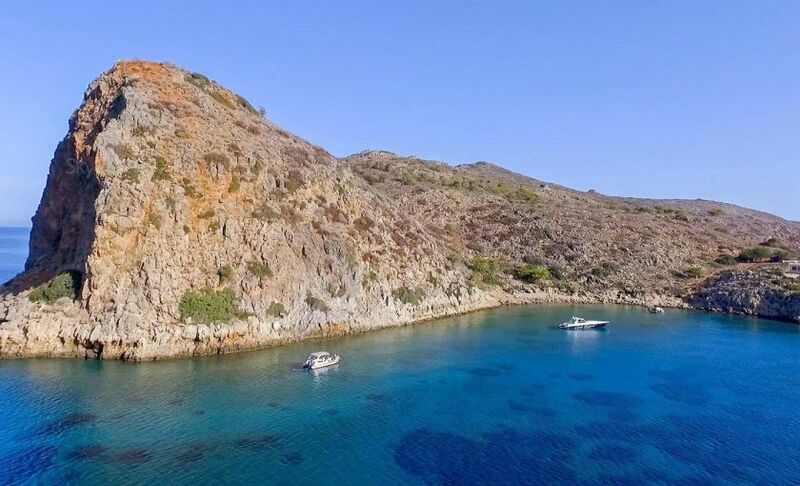 TheHotel.gr has started co-operation with Sea Star Excursions, a local company organising private boat excursions with a luxury yacht from the harbour of the old town of Chania to Theodorou island, the most beautiful Balos lagoon and the gorgeous bay of Menies. 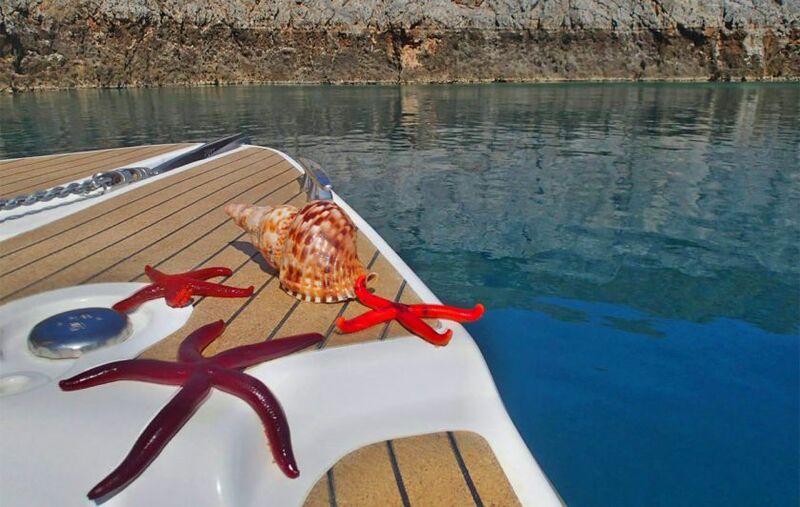 Sea Star Excursions will guide you in the crystal blue waters of Cretan sea. 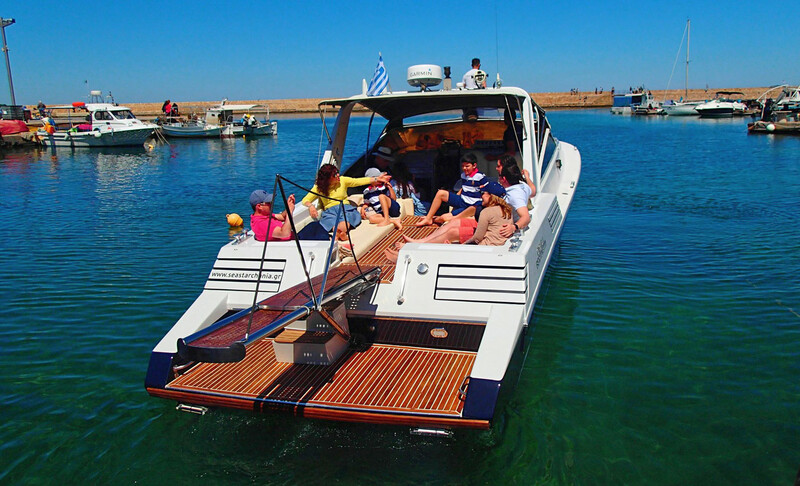 Depart from the Venetian harbour of Chania old town and dive in crystal clear blue and green waters of Aegean. 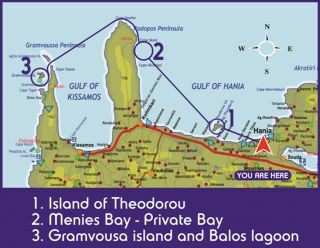 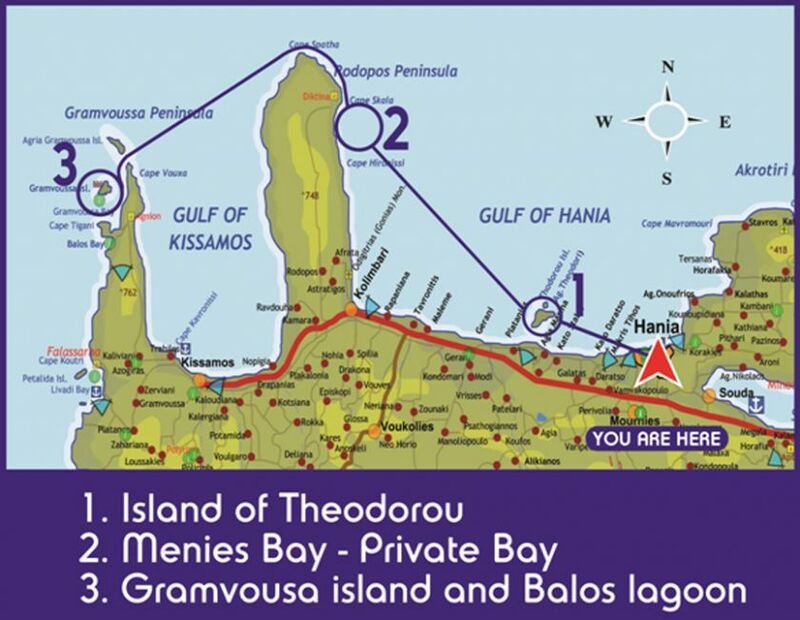 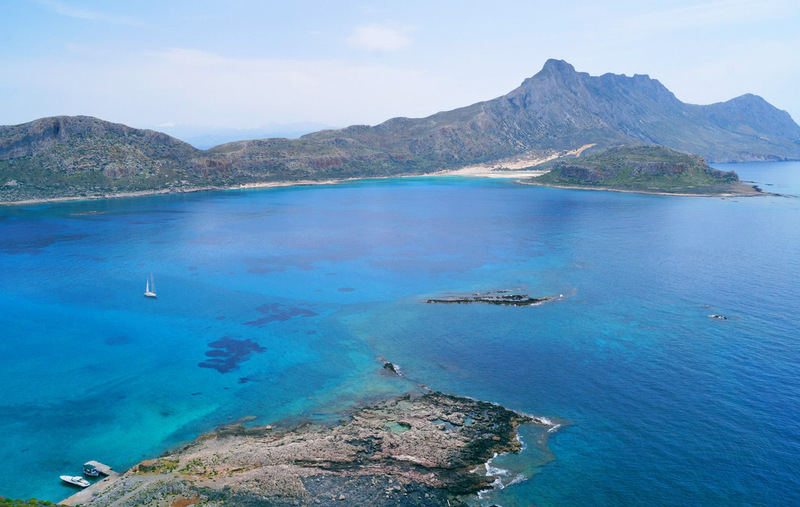 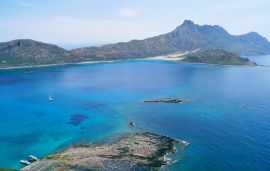 Enjoy a dreamy excursion with our yacht from Chania old town to Agioi Theodoroi (half or full day), or to the hidden Menies beach (full day), or to the famous Balos lagoon (full day) with a stop at the historic Gramvousa island. 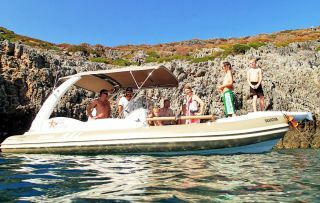 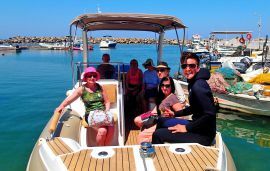 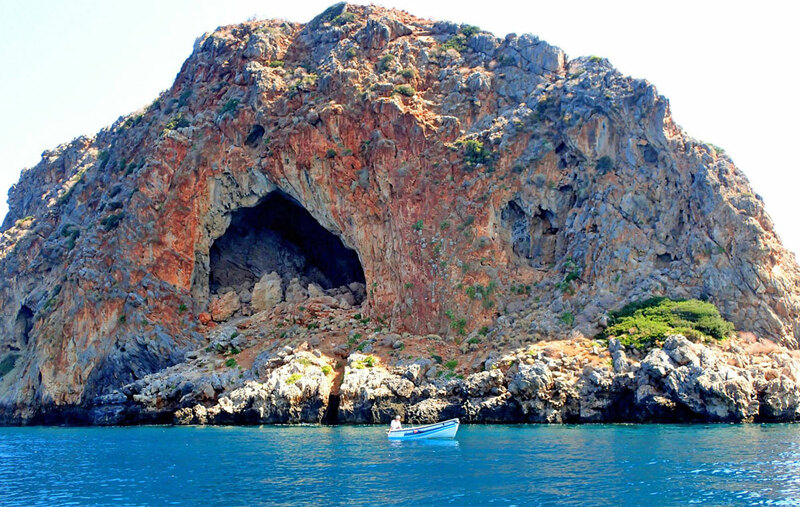 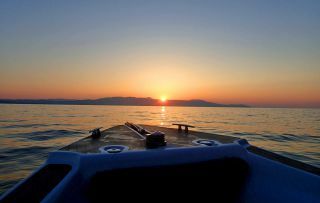 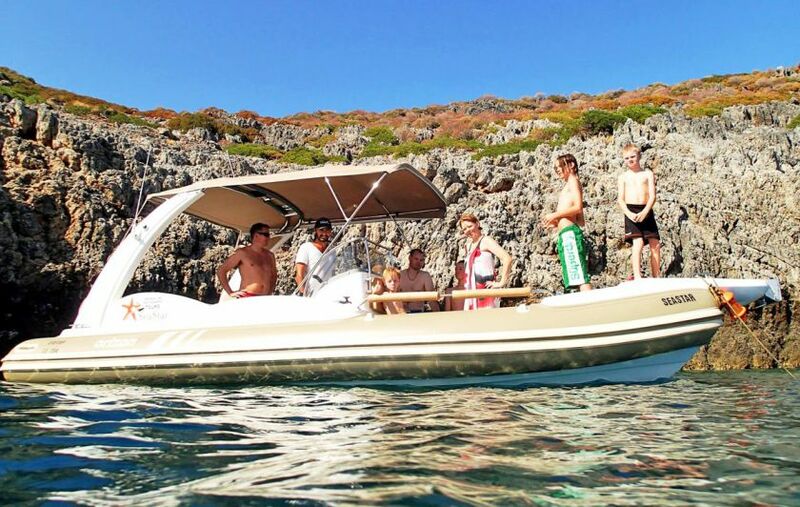 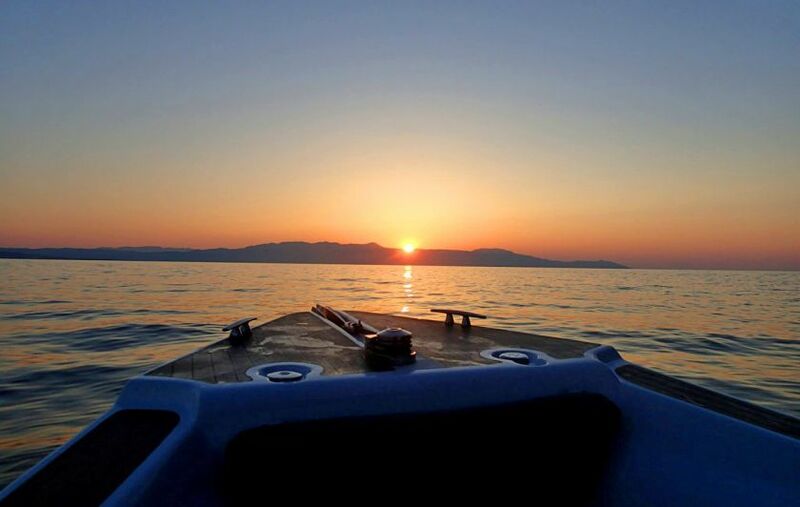 You can also choose the RIB private tour with the rigid inflatable boat, that departs from Platanias harbor and could offer you a 1 or 2-hour private tour from Plaanias to the island of Theodorou. 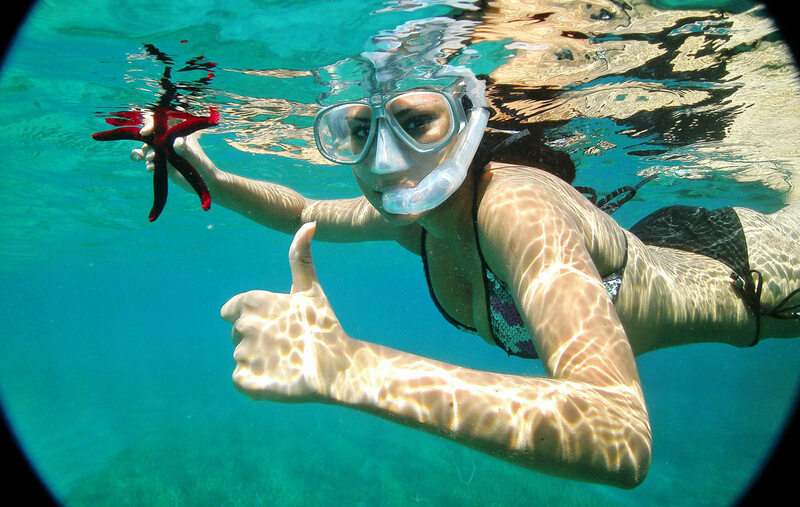 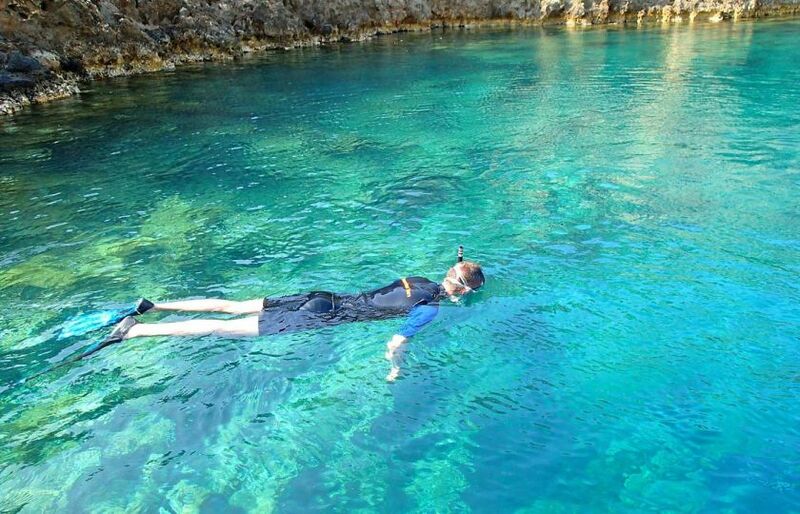 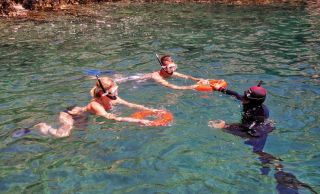 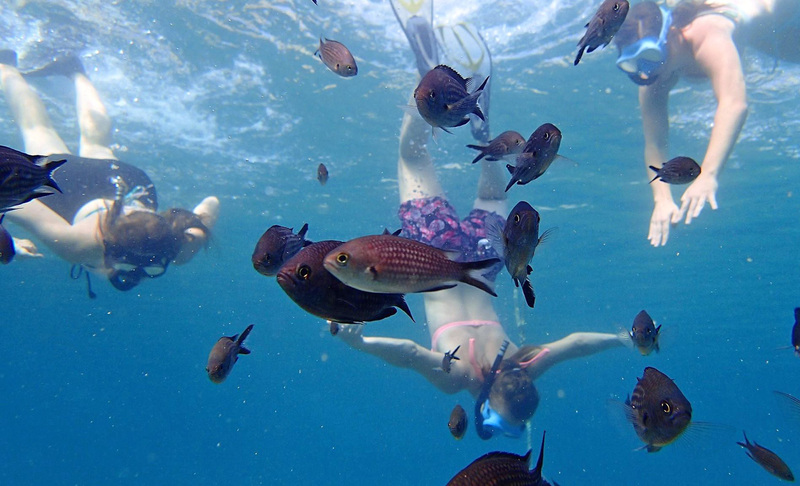 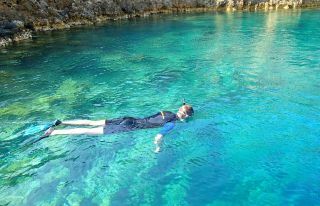 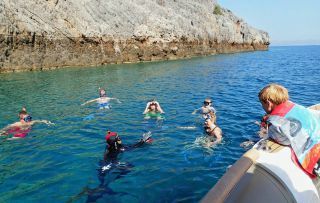 For the very active guests, there is a suggestion of snorkeling tour. Departing from Chania old town or Platanias harbor, our professional team will accompany you on this underwater journey, in order to help you to discover the realm of Poseidon. 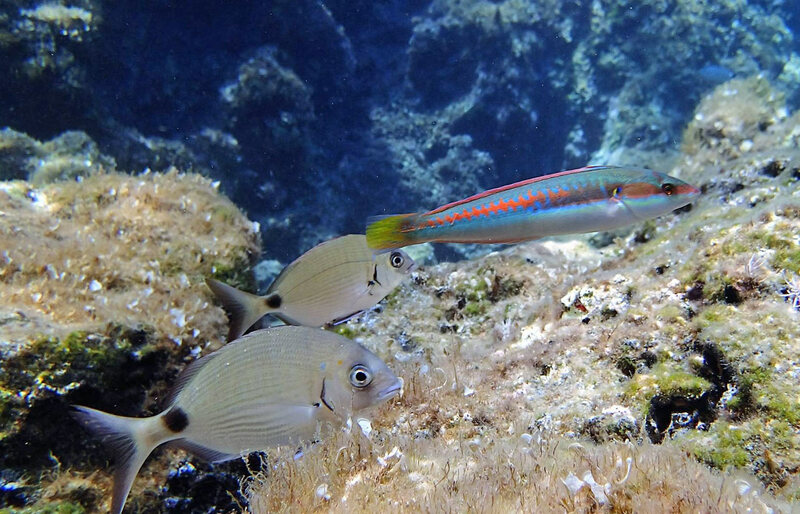 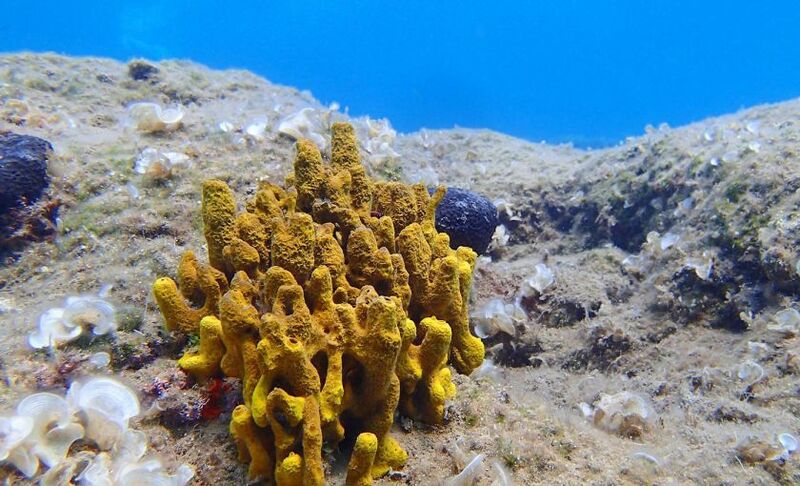 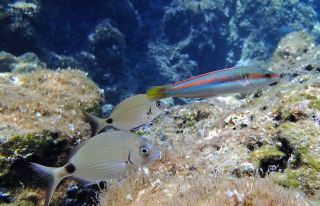 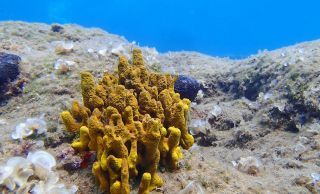 Underwater photography, during snorkeling, is now preferred for those who wish their personal photo shooting. 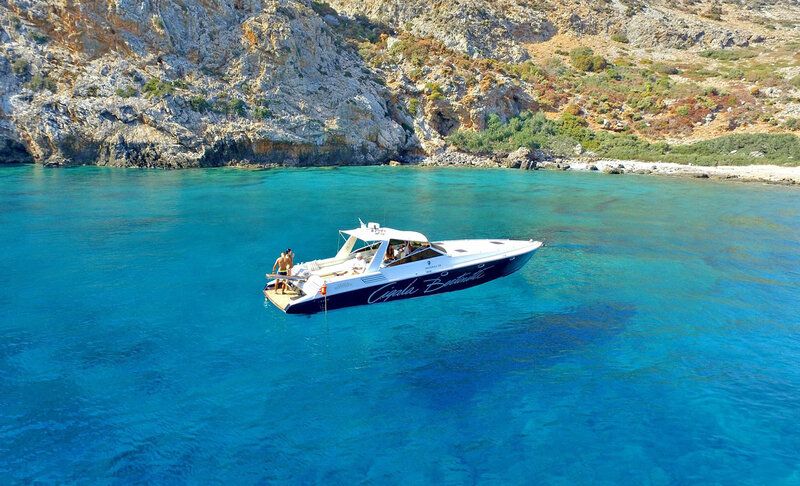 0% deposit is needed to confirm your reservation. 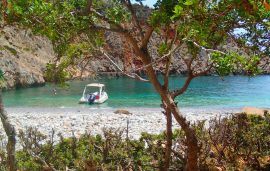 The deposit is fully refunded in case you cancel your reservation 5 days or more before check-in. In case you cancel your reservation less than 5 days before check-in then 100% of the deposit is kept.